Surrounded by lush lawns, tranquil gardens and cut stone fireplaces, Omni Tucson National Resort is an elegant boutique resort surrounded by the natural beauty of the Catalina Mountains. Designed for everything from a grand wedding event to an intimate cocktail reception, our flexible ballrooms boast Southwestern flavor with an elegant touch. Papago Ballroom and Terrace: The Papago Ballroom features distinctive regional art, classic Southwestern open-beam ceilings and large windows overlooking the Catalina Mountains. The Papago Ballroom opens up onto a large outdoor venue, the Papago Terrace. 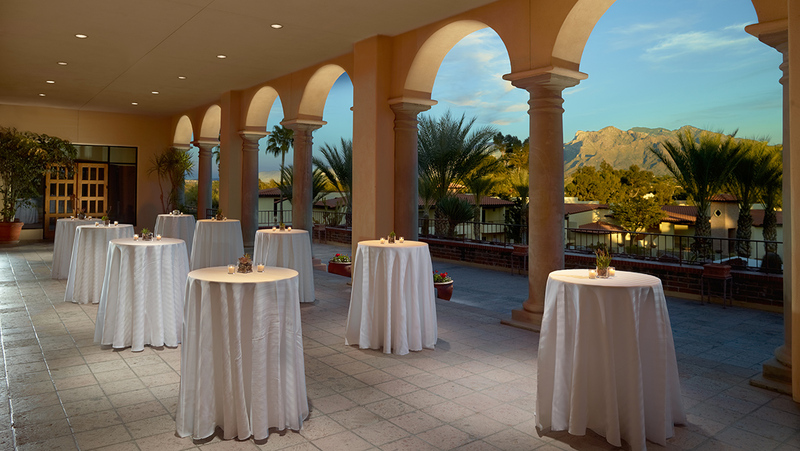 With sweeping views of the resort and mountains, the Papago Ballroom and Terrace offer a stunning reception and outdoor venue for your ceremony. 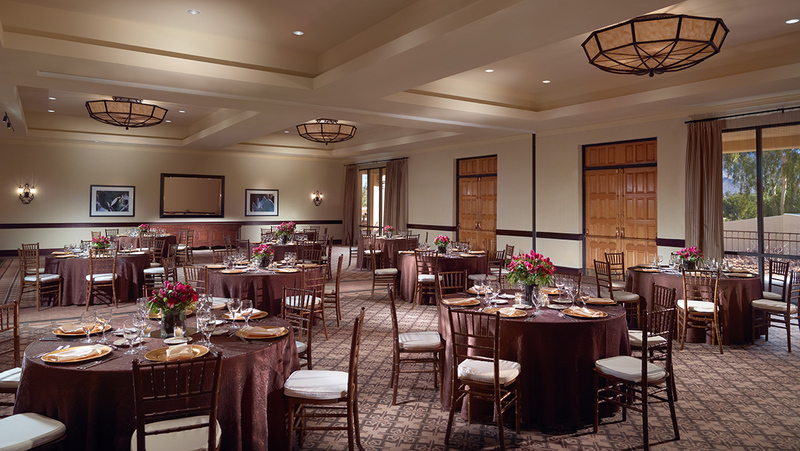 The newly remodeled Ironwood Ballroom features a contemporary feel with large windows overlooking the Catalina Mountains. Double doors lead to the adjacent Ironwood Terrace, which overlooks the 18th hole. 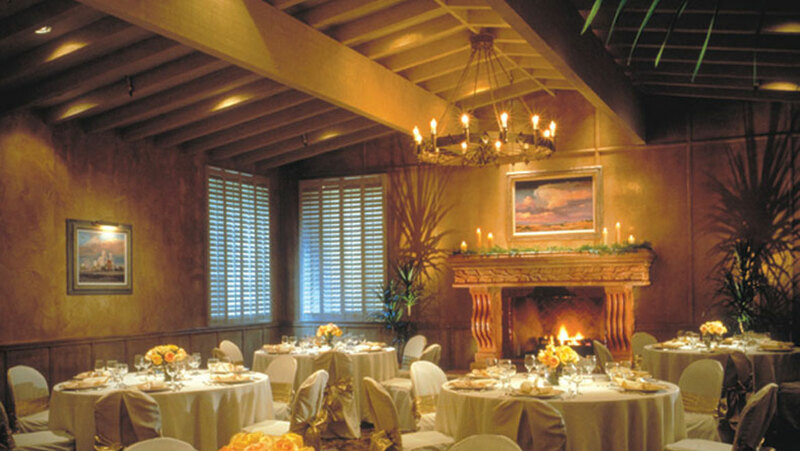 With 2,652 square feet, Ironwood Ballroom is an idyllic selection for your modern reception. The ceremony location for the resort is the Norville Lawn. 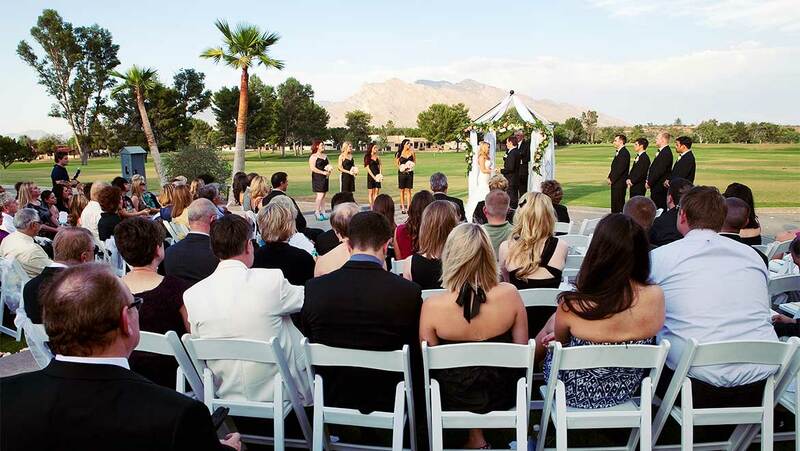 This beautiful ceremony site boasts captivating views of our amazing Golf Course, Catalina Mountains & lake water features, as well as the ultimate ease of flow for your guests. The semi-private Norville Lawn provides 6,000 square feet of usable space comfortable for your ceremony and cocktail reception that immediately follows. Palm Court is an intimate outdoor venue framed by palm trees and floral landscaping. This gorgeous ceremony location overlooks the Catalina golf course and lake water features. The intimate Navajo room is located on the upper level of the Posada, features a large fireplace and is convenient to the reception area.